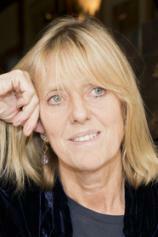 Juliet Nicolson is the author of two works of history, THE GREAT SILENCE: 1918–1920 Living in the Shadow of the Great War and THE PERFECT SUMMER: Dancing into Shadow in 1911, and a novel, ABDICATION. As the granddaughter of Vita Sackville-West and Harold Nicolson, and the daughter of Nigel Nicolson, she is part of a renowned and much scrutinized family and the latest in the family line of record-keepers of the past. She lives with her husband in East Sussex, not far from Sissinghurst, where she spent her childhood. She has two daughters, Clemmie and Flora, and one granddaughter, Imogen. All families have their myths and legends. For many years, Juliet Nicolson accepted hers --- the dangerous beauty of her flamenco-dancing great-great-grandmother Pepita, the flirty manipulation of her great-grandmother Victoria, the infamous eccentricity of her grandmother Vita Sackville-West, her mother’s Tory-conventional background. But then Juliet, a distinguished historian, started to question. As she did so, she sifted fact from fiction, uncovering details and secrets long held just out of sight. Historical events are traditionally identified with those who set them in motion, but headlined names are only the public layer of the story. In ABDICATION, Juliet Nicolson creates an absorbing fictional backdrop to the infamous abdication of Edward VIII through the lives of several not-so-common commoners as they plot their own paths through the tumultuous year of 1936.